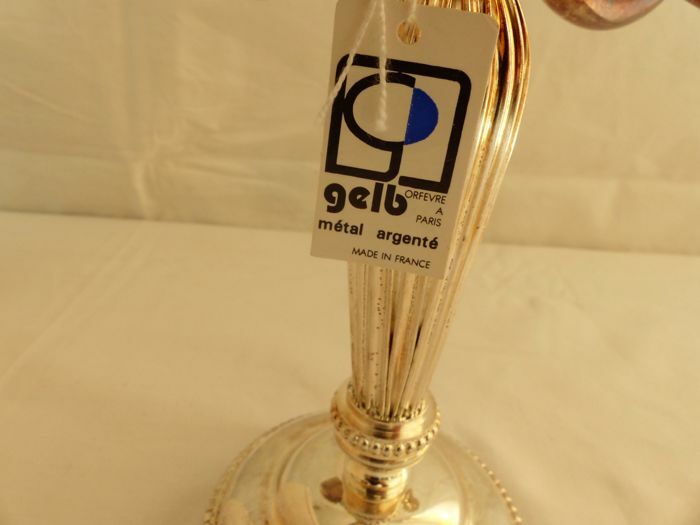 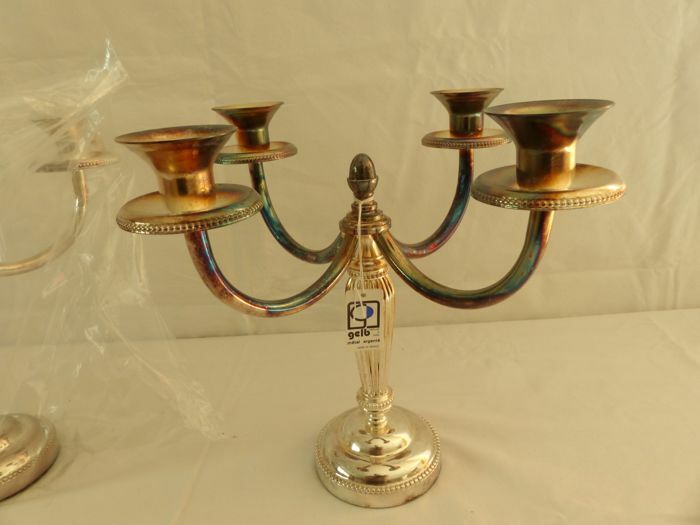 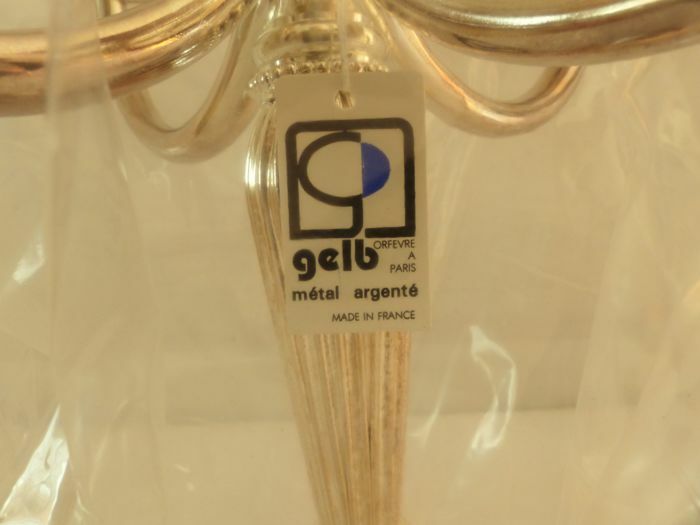 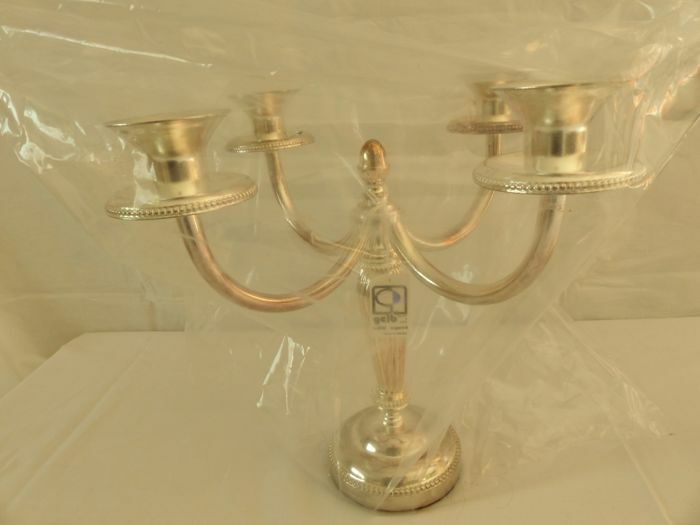 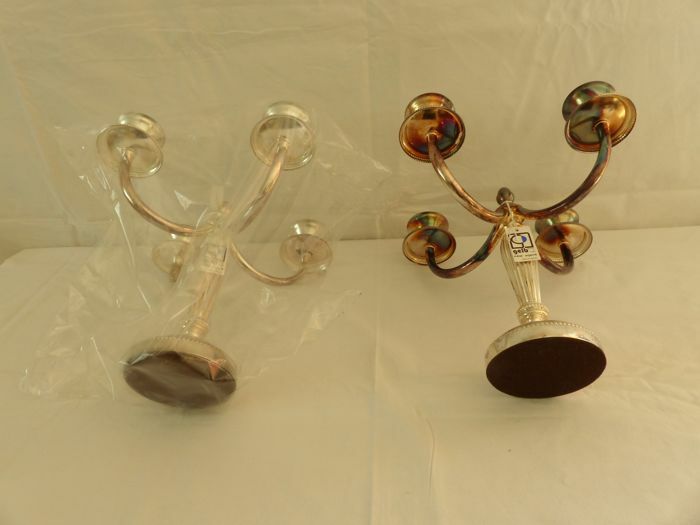 Two GELB 4-branched candelabras from the Parisian silversmith, beaded model, silver plated metal. 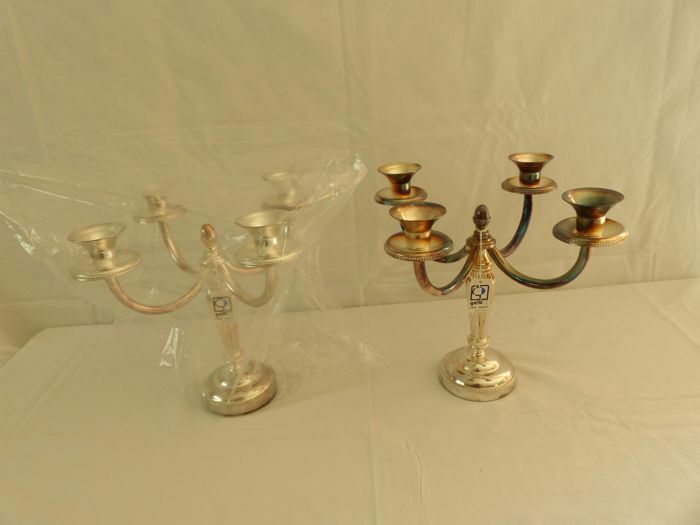 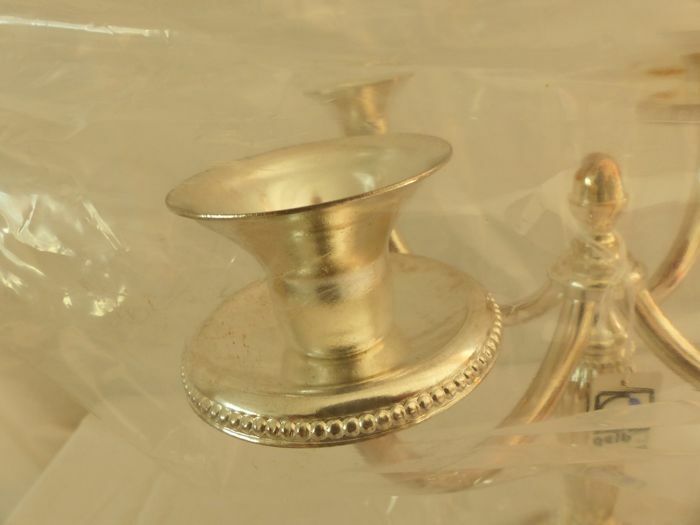 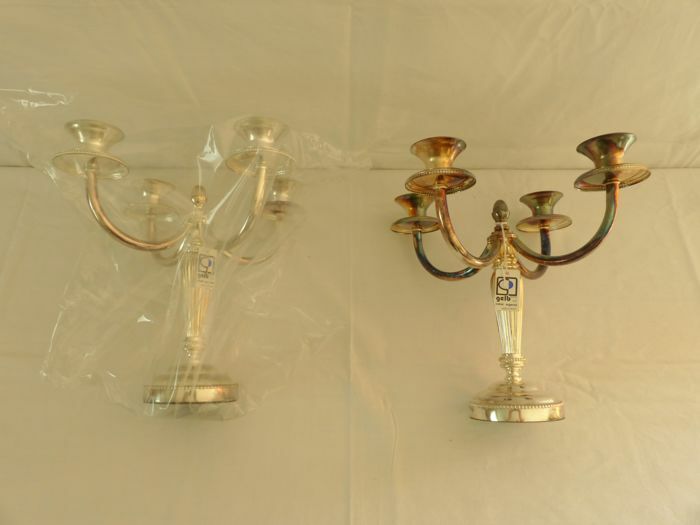 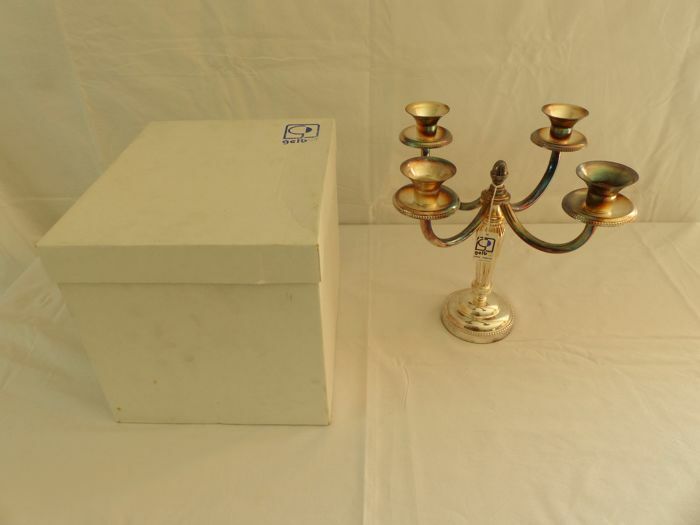 One candelabra is in its original packaging and the other is in need of cleaning, having been removed from its protective packaging. 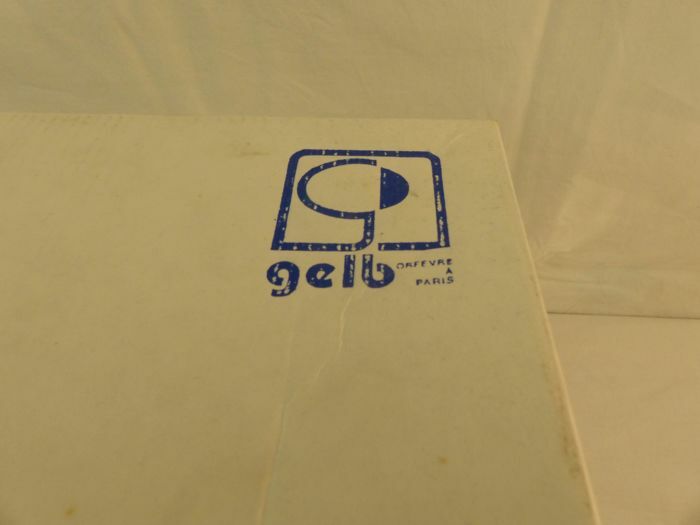 You can pick up this lot from the seller: Bergholtzzell (), France.